hello everyone! 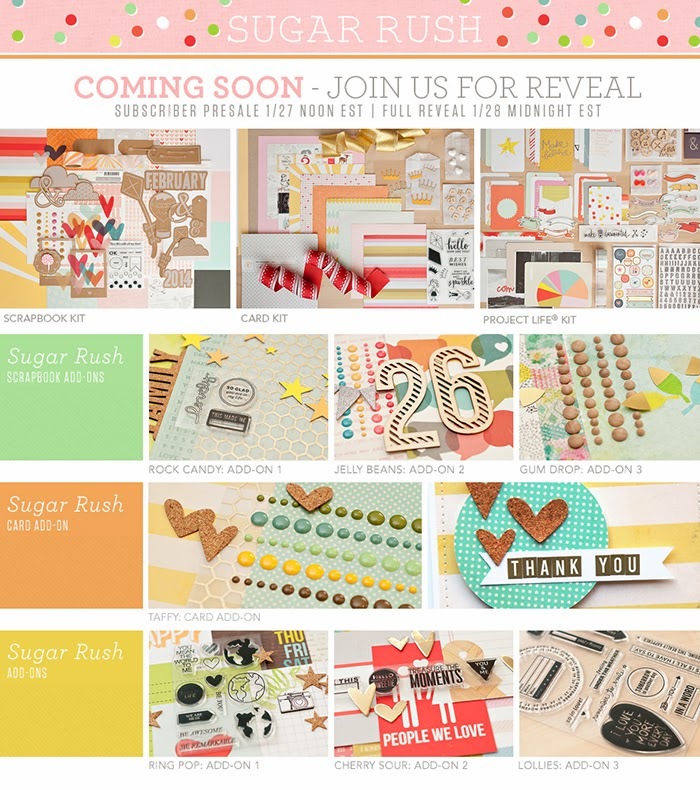 we so close to the reveal day for studio calico february kits - sugar rush! 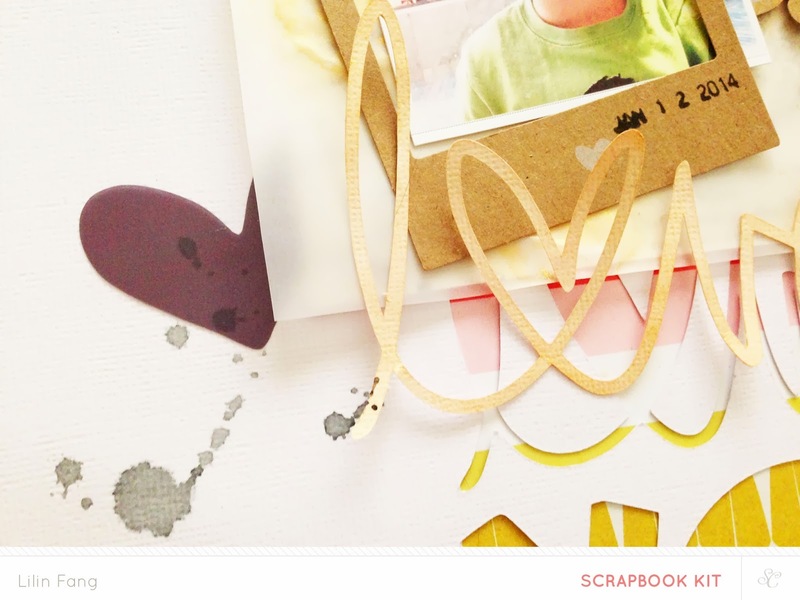 this is a main scrapbook kit only layout. 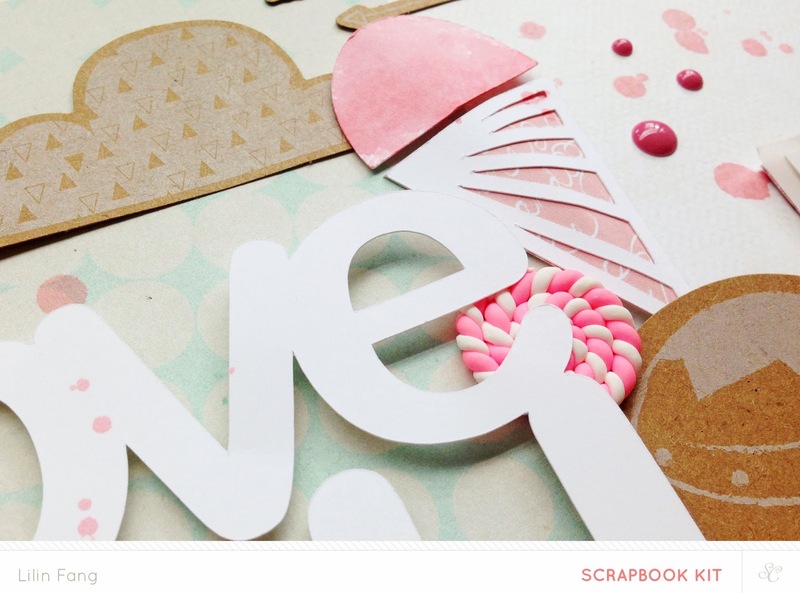 i love love love the ice cream cut files by life love paper! i cut a bunch of them using my silhouette cameo in solar white card stock, then i backed the cone or cup (yes there are cute ice cream cups as well) with patterned paper and mist the ice cream scoop. i love how the ice cream turned out! the mist made it looked a bit like real ice cream! this is also a main kit only layout. i used the amazing cut files from hello forever to make a large title in this layout. used lots of gold mist here as welll! 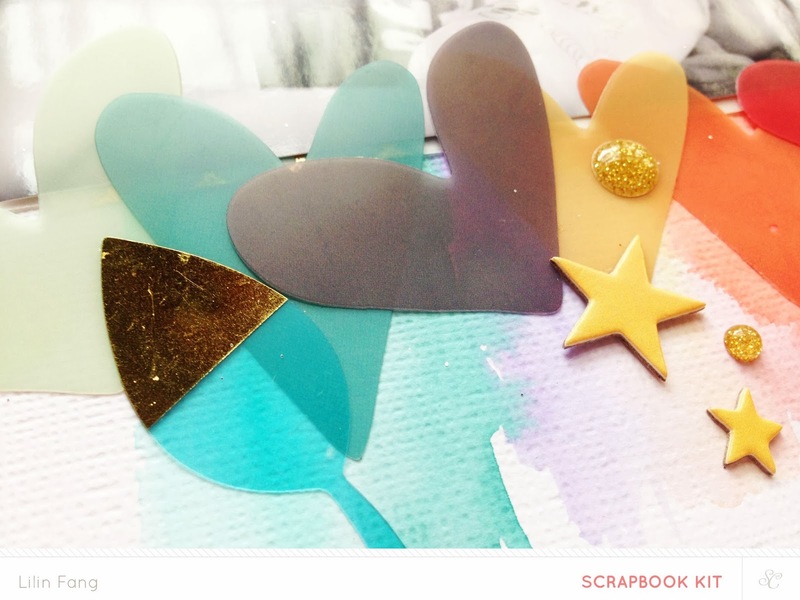 as usual i had to play with some watercolors to match the colors of the pretty vellum hearts. if you have been thinking about trying watercolors but haven't decided which one to buy, i would recommend the peerless transparent watercolor papers. it comes in 40 beautiful colors and are easy to use. they are now stocked up in the shop so do grab them before they run out again. i put my silhouette cameo to good use this month! 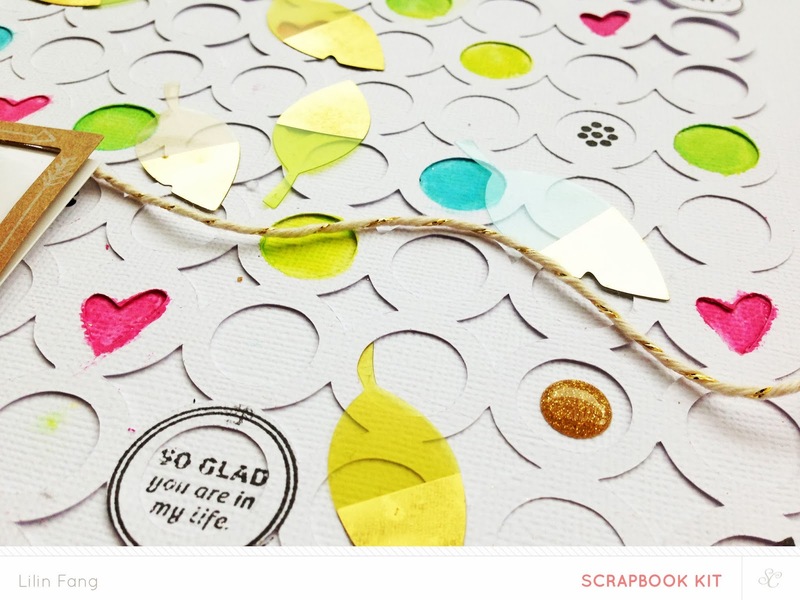 check out this pretty cut file by in a creative bubble. had lots of fun filling the circles with gelatos, stamps and embellishments from the main kit, rock sugar and gum drop. these gold dipped leaves are my absolute favourite this month! subscribers reveal will be on 27th at noon EST/ 11am CST and for the rest of the public, it will go live on 27th at midnight EST/ 11pm CST. thank you for dropping by and do check back later for the full reveal! welcome to after dinner treats! this is where i share my paper crafts and everyday memories. thanks for stopping by! any questions? leave me a comment or email me! Elle's Studio New Collections are here!